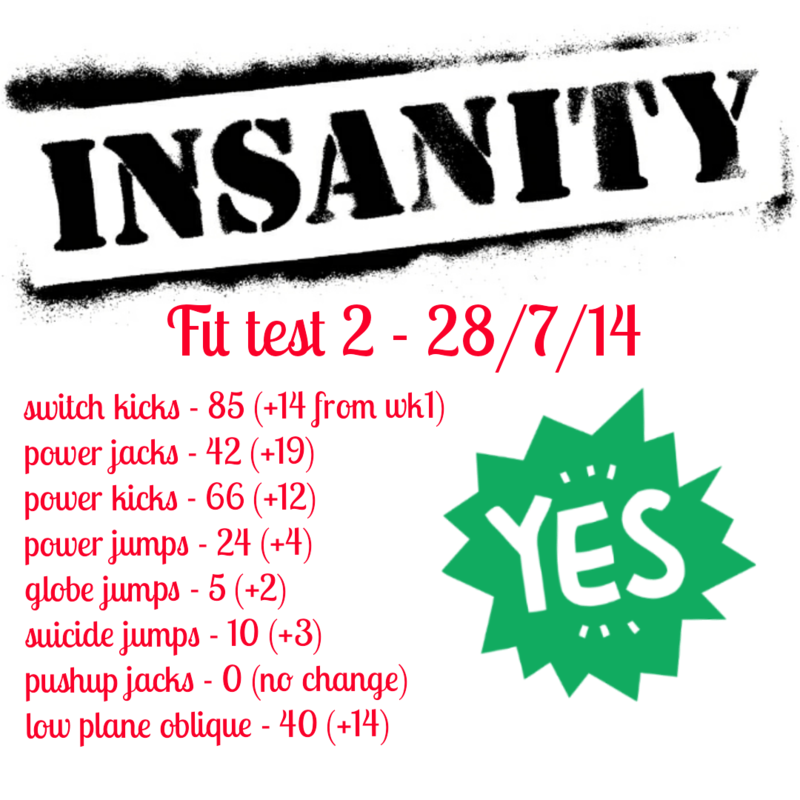 Today starts my third week of insanity and today was my second fit test. I did better than my first test, but I still can’t do a single pushup Jack for love or money! I just have zero upper body strength so that is something I really need to work on, but not really sure what to do along with insanity to achieve that. Anyway here’s to week 3!